Work the World is an enriching program and I recommend any student studying in the healthcare field to participate in an internship abroad. The program managers, Alpha and Mark, are very resourceful, making your entire stay in Tanzania enjoyable. The house at Oyster Bay is spacious and even has a pool! The staff working in the house are energetic and they genuinely love their jobs. I look forward to Neema, the Housekeeper, to be the first person to say good morning to me nearly every morning. Mr. Beda and Faraja, the Caterers, cook delicious meals, and rather generous servings as well. Barbeque nights every Thursday are my favorite nights of the week! We sit outside by the pool, sing karaoke and have a great time together. 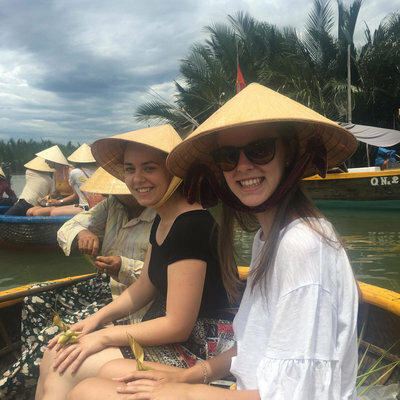 In your time at the house, you will see other students come and go, but you make strong friendships with these other students just as apprehensive to explore a new and diverse country. I’m delighted to have taken advantage of the travel opportunities around the country on the weekends. I have visited Zanzibar, which is a must if you decide to locate in Dar es Salaam (Dar). A group of us went to Prison Island to see tortoises, swam with dolphins in the middle of the Indian Ocean, visited wild Red Colobus monkeys in the Jozani forest, and went on a spice tour all in one day. On another weekend, I travelled with all the new students to Moshi. We took a two-day tour to the hot springs, a Maasai village, banana beer tasting, coffee tour, Materuni waterfalls, Chagga huts and caves, and finally a viewpoint to Mount Kilimanjaro. If you can fit it into your schedule, consider climbing Mount Kilimanjaro. I have used the other weekends in Dar to experience the nightlife, attending festivals, going to local clubs and interacting with the locals. You have to be aware of your surroundings and not put yourself in a dangerous situation by carrying expensive electronics, but not once have I felt threatened in the five weeks I have lived here. I enjoyed the Maasai village the most out of all of these extra activities. The local tribesmen and women were very welcoming. They made us Chai tea (best tea I have ever had), performed a traditional dance and then asked us to partake, and then they asked us to stay the night with them in their huts, but we had to go back to our hotel… If you show the locals the pictures you take of them on your phone, it almost always ends in a fit of giggles. 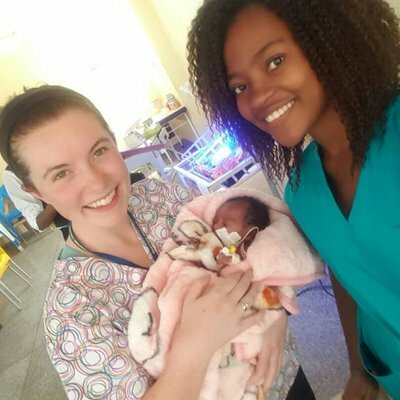 I chose to have my nursing elective in Dar es Salaam because it is a unique location, of the seven locations provided by Work the World, to further my hands-on education as a nurse. Working in Dar es Salaam is an eye-opening and life-changing experience. The city is home to two very different hospitals providing wide-ranging experiences. Working side-by-side with people of a different culture, having to treat patients whilst negotiating through a language barrier, is difficult to describe. The atmosphere should be experienced firsthand. This program has helped me grow intellectually. Most importantly, I have learned to exercise patience with what I do not understand and to keep an open mind. I am here to learn the differences in healthcare in Africa, not to discriminate against it or change it, but appreciate the opportunity to grow as a person and as a nurse. At the Regional Hospital, the nursing staff provided direction to foreign nursing interns and encouraged us to get involved in patient care. I was able to assist in various procedures while working in labor and delivery for the two weeks I was at placement. 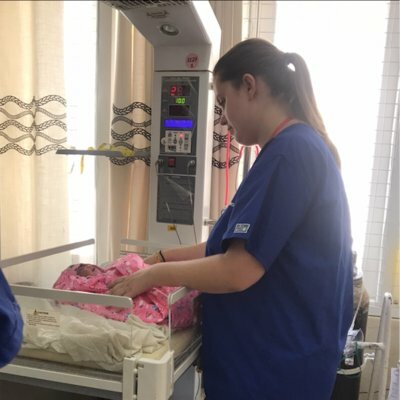 I was able to help deliver a baby on my third day of placement. The patients were very excited to have a foreigner help them through the process (we tend to have a more gentle approach than the native nurses). I will never forget the moment when I revealed to this new mother that she brought a beautiful baby boy into the world. My heart melted when his eyes opened for the first time. That day of placement has been the best day of my last three years at university. In that moment, I found my calling to become a midwife. At the National Hospital I worked on the pediatric ward for three weeks. I started in the oncology department, which is more observational because most of the children are there for pain management and chemotherapy conducted by physicians. The second week, my favorite, was in burns unit. The beginning of the week I observed dressing changes on the children’s wounds. The nurses showed us how to conduct the procedures. By the end of the week I was able to do dressing changes on two patients as my mentor watched over me. What a confidence booster! During my last week at the hospital, I worked on the Kangaroo Unit, which is where premature babies go after they are released from the NICU. I worked with nurses who were interested in the differences between American and African healthcare. I could tell that they wanted to do anything possible to improve patient outcomes; they really cared. Download a few Swahili language applications on your phone that have simple every day and medical phrases you can use with the locals and especially the patients. Bring an extra change of clothes onto your carry-on luggage. A few students had their luggage lost on the way here and, although the Program Manager helped them to eventually retrieve their bags, it can be re-assuring that you still have a change of clothes in such circumstances. Buy a memory card for your camera or phone for when you take pictures and videos! Pack loose fitting, airy pants or skirts with you for when you travel to and from the hospitals. If you are bringing an ATM card, don’t forget to tell your bank that you are traveling out of the country. Make friends with the local college students. As they tend to know the area very well, its a great way of getting opportunities to go in groups to the better local bars, clubs, restaurants, and other local hangout spots. Bring donations: Toys for the Village Healthcare Experience, those children have very little to play with; gloves, hand sanitizer, and any other medical supplies. Bring candy and stickers for children at the local orphanage. They will love you. Visit Smooch – the local frozen yogurt restaurant, at least once before you leave. Also, ask for a free loyalty card if you plan to go there more than once.